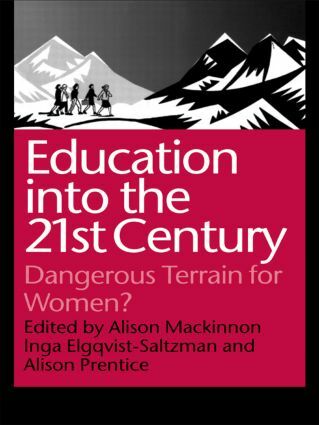 The combined effort of 19 feminist educators and theorists from four continents, this exciting collection of essays is designed to be as wide-ranging intellectually as it is geographically. Probing the abilities (and dis-abilities) of women in education from the mid-19th century to the present, it brings historical analysis, classroom research, and theoretical reflection to bear on gender issues in schooling and higher education. 'What about the boys?' cry alarmists who fear a feminist takeover in schools. 'What about them indeed? ', say students of women's education who wonder if it is now time to engage more explicitly and directly with the politics of male advantage in education, as well as in economic, political, social and cultural life.